Register for the Italian Dinner Show on Sunday, April 29,2017 at 8:30pm. An additional 60 euros for adults and children are free for families coming from other European countries. Optimizing the Outcome of X & Y Variations in Children Featuring specialists who are experts in the field of XXY in their specialty, a parent and patient QA panel. Raising funds and awareness for X&Y variations, as well as other rare diseases and syndromes. Join us for the 7th annual Oktoberfest "Casablanca"! Very excited to announce our opening of the European X & Y Chromosomal program sponsored by The Focus Foundation. We are planning to visit England at Thornton Manor. Join us for the 8th annual Oktoberfest "Safari"! 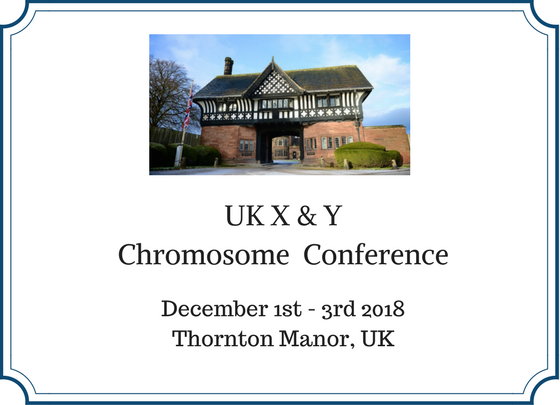 UK X & Y Chromosome Conference at Thornton Manor. Australia, We're Coming. April 2019 - Australian X and Y Chromosome Conference.